TOKYO, Mar, 29 2019 - (JCN Newswire) - An opening ceremony has been held at Camayse Elementary School in Santa Rita City, Samar State, for which Mitsubishi Motors and the company's employees have together donated 3 million yen to build a new classroom building on 26th of March. The donation was made from the company's STEP Funds, which matches voluntary donations made by employees with an equivalent contribution from Mitsubishi Motors.World Vision Japan and World Vision Development Foundation helped engage with the local community and carried out the construction of the new building. Mariza S. Magan, Schools Division Superintendent of Department of Education of the Phillipines, and Cheryl Ocenar, the Principal of Camayse Elementary School, joined Mitsubishi Motors Philippines Corporation SVP Yasuki Maruyama for the ceremony. Cheryl Ocenar, the Principal of Camayse Elementary School, stated: "We have been craving new school buildings. The classrooms have not been enough for the past three years, since when we have also been affected by typhoons. So we are very happy with the construction of the school building helped by Mitsubishi Motors and World Vision. Thank you very much for your support developing the education of children." Yasuki Maruyama, SVP of Mitsubishi Motors Philippines Corporation, added: "Congratulations on the construction of the new school building. I hope that this new school building will enable children in this area to learn in a comfortable environment and play a role in the development of this society in the future. Supported by the people in the Philippines, Mitsubishi Motors have been engaged in automobile production and sales in this country. We will not only contribute to the economy but also work on the social contribution activities required in the local society." As part of its long-term focus on being a responsible corporate citizen, Mitsubishi Motors prioritized CSR in 2018 to aim to make important contributions to the well-being of all the local communities where it operates. 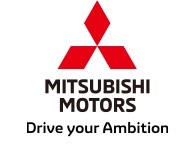 ASEAN is an important region for the company, and Mitsubishi Motors contributes strongly to the economies through its production and business operations across the region. The company will continue to closely support local communities as it further builds on its presence across the ASEAN region.